James Cochran is the founder and director of the Naples Philharmonic Chorus, director of the Naples Philharmonic Youth Chorus and resident organist of the Naples Philharmonic. 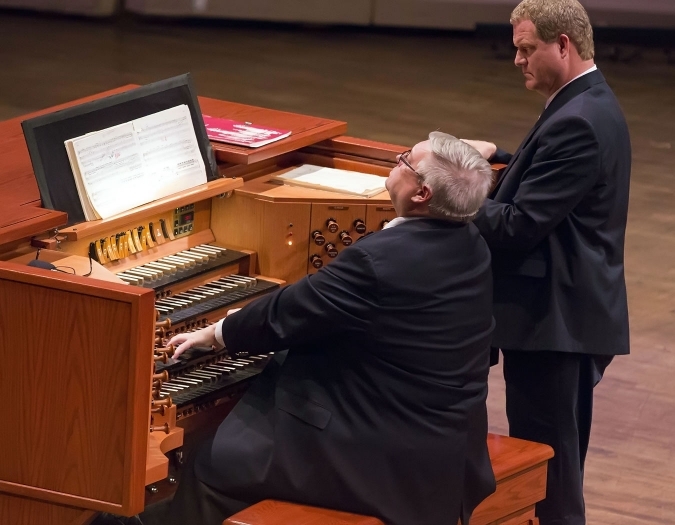 As an organ recitalist, Cochran has performed in the United States, Canada, Great Britain and Mexico. As the Naples Philharmonic Chorus director, he has prepared the ensemble for concerts under the batons of such preeminent conductors as Keith Lockhart, Jack Everly and Jorge Mester. Outside of his work with the Naples Philharmonic, Cochran serves as the director of music at the Vanderbilt Presbyterian Church. Cochran holds master and doctorate of music arts degrees from the Eastman School of Music.